The major denominations of the Jewish Bible are the Pharisees, and the Sadducees. These two groups disliked and distrusted each other in that he Pharisees were more religious minded, while the Sadducees were more political minded. The Pharisees were a religious group that zealously followed the Scripture laws as well as their own religious traditions. While they believed in bodily resurrection and eternal life, they behaved as though their own religious rules were just as important as God's rules for living - salvation came from perfect obedience to the law, and was not based on forgiveness of sins. The Sadducees rejected the authority of the Bible beyond the five books of Moses, and denied the resurrection of the dead, or eternal life. They believed strongly in the Mosaic law, and in Levitical purity. They were often willing to compromise their values with the Romans, and others, in order to maintain their status and influential positions. In the late Middle Ages, when Europe and western Asia were divided into Christian and Islamic countries, the Jewish people also found themselves divided into two main groups. 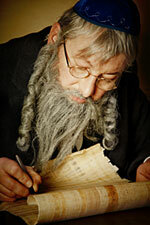 Jews in Central and Eastern Europe, namely in Germany and Poland, were called Ashkenazi. Sephardic Jews can trace their tradition back to the Mediterranean countries, particularly Spain and Portugal under Muslim rule. When they were expelled in 1492, they settled in North Africa, the eastern Mediterranean, the Far East, and northern Europe. The two traditions differ in a number of ritual and cultural details, but their theology and basic Jewish practice are the same. 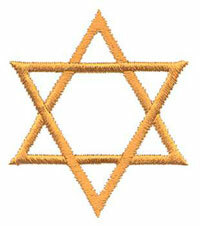 Over the past two centuries the Ashkenazi Jewish community has divided into a number of Jewish denominations; each has a different understanding of what principles of belief a Jew should hold, (although belief plays a lesser role than practice and observance in Judaism) and how one should live as a Jew. Conservative Judaism, known as Masorti Judaism outside of the United States and Canada, developed in Europe and the United States in the 1800s as Jews reacted to the changes brought about by the Enlightenment and Jewish emancipation. It is characterized by a commitment to following traditional Jewish laws and customs, including observance of Shabbat and kashrut, a deliberately non-fundamentalist teaching of Jewish principles of faith, a positive attitude toward modern culture, and an acceptance of both traditional rabbinic modes of study along with modern scholarship and critical text study when considering Jewish religious texts. Conservative Judaism teaches that Jewish law is not static, but has always developed in response to changing conditions. It holds that the Torah is a divine document written by prophets inspired by God, but rejects the Orthodox position that it was dictated by God to Moses. Similarly, Conservative Judaism holds that Judaism's Oral Law is divine and normative, but rejects some Orthodox interpretations of the Oral Law. Accordingly, Conservative Judaism holds that both the Written and Oral Law may be interpreted by the rabbis to reflect modern sensibilities, and suit modern conditions; although, great caution should be exercised in doing so. There is no absolute uniformity within Conservative Judaism, and the communities that retain more traditional practices are sometimes called Conservadox. Orthodox Judaism holds that both the Written and Oral Torah were divinely revealed to Moses, and that the laws within it are binding and unchanging. Orthodox Jews generally consider commentaries on the Shulchan Aruch (a condensed codification of halakha that largely favored Sephardic traditions) such as the Moses Isserlis's HaMappah and the Mishnah Berurah, to be the definitive codification of Jewish law, and assert continuity between the Judaism of the Temple in Jerusalem, pre-Enlightenment Rabbinic Judaism, and modern-day Orthodox Judaism. Most of Orthodox Judaism holds to one particular form of Jewish theology, based on Maimonides' 13 Principles of Jewish Faith. Orthodox Judaism broadly (and informally) shades into two main styles, Modern Orthodox Judaism and Haredi Judaism. The philosophical distinction is generally around accommodation to modernity and weight placed on non-Jewish disciplines, though in practical terms the differences are often reflected in styles of dress and rigor in practice. According to most Orthodox Jews, Jewish people who do not keep the laws of Shabbat and Yom Tov (the holidays), kashrut, and family purity are considered non-religious. 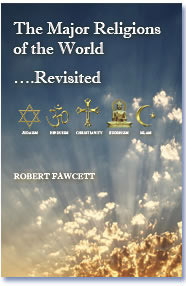 Any Jew who keeps, at least those laws, would be considered observant, and religious. Modern Orthodox Judaism emphasizes strict observance of religious laws and commandments but with a broad, liberal approach to modernity and living in a non-Jewish or secular environment. Modern Orthodox women are gradually assuming a greater role in Jewish ritual practice, which is not acceptable in the Haredi community. Haredi Judaism (also known as "ultra-Orthodox Judaism," although some find this term offensive) is a very conservative form of Judaism. The Haredi world revolves around study, prayer and meticulous religious observance. Some Haredi Jews are more open to the modern world, perhaps most notably the Lubavitch Hasidim, but their acceptance of modernity is more a tool for enhancing Jewish faith than an end in itself. Hasidic Judaism is a stream of Haredi Judaism based on the teachings of Rabbi Yisroel ben Eliezer (The Ba'al Shem Tov). Hasidic philosophy is rooted in the Kabbalah, and Hasidic Jews accept the Kabbalah as sacred scripture. They are distinguished both by a variety of special customs and practices including reliance on a Rebbe or supreme religious leader, and a special dress code particular to each Hasidic group. Reform Judaism, called Liberal or Progressive in many countries, originally formed in Germany in response to the Enlightenment. Note that in the United Kingdom, there are two distinct congregational unions, Reform and Liberal. Reform is significantly more traditional than Liberal, but both hold to similar theoretical positions. Its defining characteristic with respect to the other movements is its rejection of the binding nature of Jewish ceremonial law, as such, and instead believe instead that individual Jews should exercise an informed autonomy about what to observe. Reform Judaism initially defined Judaism as a religion, rather than as a race or culture, rejected most of the ritual ceremonial laws of the Torah while observing moral laws, and emphasized the ethical call of the Prophets. 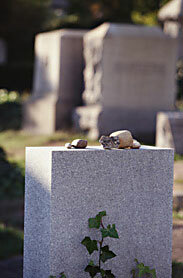 Reform Judaism developed an egalitarian prayer service in the vernacular (along with Hebrew in many cases) and emphasized personal connection to Jewish tradition over specific forms of observance. Today, many Reform congregations encourage the study of Hebrew and traditional observances, while a smaller number continue to espouse the liberal ethos of the classical reformers of the nineteenth century. Reconstructionist Judaism started as a stream of philosophy by Mordechai Kaplan, a Conservative rabbi, and later became an independent movement emphasizing reinterpreting Judaism for modern times. Like Reform Judaism, Reconstructionist Judaism does not hold that Jewish law, as such, requires observance, but unlike Reform, Reconstructionist thought emphasizes the role of the community in deciding what observances to follow. Jewish Renewal, a recent North American movement, was begun by Rabbi Zalman Schachter-Shalomi, a Hassidic rabbi, in the 1960s. Jewish Renewal focuses on spirituality and social justice, but does not address issues of Jewish law. Men and women participate equally in prayer. 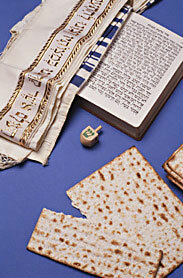 This is a small non-theistic movement that emphasizes Jewish culture and history as the sources of Jewish identity. Founded by Rabbi Sherwin Wine, it is centered in North America and Israel, but also has affiliated groups in Europe and Latin America. Even though all of these denominations exist in Israel, Israelis tend to classify Jewish identity in ways that are different than diaspora Jewry. Most Jewish Israelis classify themselves as "secular" (hiloni), "traditional" (masorti), "religious" (dati) or Haredi (the ultra-Orthodox). The term "secular" is more popular as a self-description among Israeli families of western (European) origin, whose Jewish identity may be a very powerful force in their lives, but who see it as largely independent of traditional religious belief and practice. This portion of the population largely ignores organized religious life, be it either of the official Israeli rabbinate (Orthodox) or of the liberal movement's common to diaspora Judaism (Reform, Conservative). The term "traditional" (masorti) is most common as a self-description among Israeli families of "eastern" origin (i.e., the Middle East, Central Asia, and North Africa). This term, as commonly used, has nothing to do with the official Masorti (Conservative) movement. There is a great deal of ambiguity in the ways "secular" and "traditional" are used in Israel. They often overlap, and they cover an extremely wide range in terms of ideology and religious observance. The term "Orthodox" is not popular in Israeli discourse; although, the percentage of Jews who come under that category in Israel is far greater than in the Diaspora. Various methods of measuring this percentage, each with its pros and cons, are the proportion of religiously observant Knesset members, the proportion of Jewish children enrolled in religious schools, and statistical studies on "identity." What would be called "Orthodox" in the diaspora includes what is commonly called dati (religious) or haredi (ultra-Orthodox) in Israel. The former term includes what is called "Religious Zionism" or the "National Religious" community, as well as what has become known over the past decade, or so, as haredi-leumi (nationalist haredi), or "Hardal," which combines a largely haredi lifestyle with nationalist ideology. Other expressions of Jewish identity fall outside of this conservative/liberal continuum. Unlike the above denominations, which were ideological reactions that resulted from the exposure of traditional rabbinic Judaism to the radical changes of modern times, Karaite Judaism did not begin as a modern Jewish movement. The followers of Karaism believe they are the remnants of the non-Rabbinic Jewish sects of the Second Temple period, such as the Sadducees, though others contend they are a sect started in the 8th and 9th centuries. The Karaites (or "Scripturalists") accept only the Hebrew Bible, and what they view as the Peshat: "Plain or Simple Meaning," and do not accept non-biblical writings as authoritative. Some European Karaites do not see themselves as part of the Jewish community, while most do. It is interesting to note that the Nazis often did not associate Karaites with Jews, and therefore, several Karaite communities were spared in WWII. They exist to this day even in places such as Lithuania where Jewish communities were completely devastated. In other areas, such as Greece, the Nazis deemed Karaites as belonging to a greater Jewish tradition, and abused them accordingly. Another historical division among ethnic Jews are the Samaritans, who maintain a distinct cultural and religious identity from mainstream Judaism, and are located entirely around Mount Gerizim in the Nablus/Shechem region of the West Bank, and in Holon which is near Tel Aviv in Israel.